Know a young person that likes design? Or the outdoors? Or making social change? There’s a challenge that fits all these passions. The Chicago Architecture Biennial, together with official education partner the Chicago Architecture Foundation, has launched the BP Design Competition, offering young people the guidance, resources, and incentives to design a public park for the south side of Chicago. The Biennial’s theme is “State of the Art of Architecture,” and organizers are encouraging students to get creative with their designs. “They can sketch, use digital tools, use a design program, or any other method to create their design,” says Nikki Snodgrass, Public Relations and Social Media Manager at the Chicago Architecture Foundation. Young people are also required to explain the thinking behind their design and what they hope it will accomplish, whether that be community building, public transport through the park, adding a better aesthetic and green space to a neighborhood, or anything their minds dream up. “The goal is really for them to think about improving access in any Chicago neighborhood,” says Snodgrass. Registration for the BP Design Competition opened on September 1, and will stay open through November 11, with submissions due November 20. Chicago Public School students 13-years and older are encouraged to apply, especially those with an interest in urban planning and development. 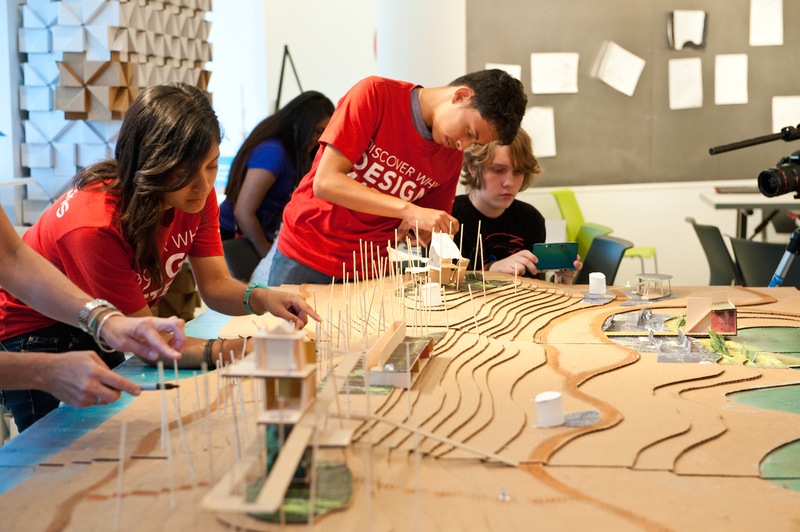 Designs are judged by representatives from the Chicago Park District, Chicago Public Schools, Chicago Architecture Biennial, Inc., and BP, giving students an opportunity to put their ideas in front of some of the top urban planning actors in Chicago. The top 10 designs will receive awards, and the first place winner will receive $500 and an overnight stay in a downtown hotel with their family. Yet almost more valuable than the prize is the experience students get along the way. Throughout the submission period, they can ask questions and get feedback from professionals working in urban development in Chicago. “I think one of the more valuable things is the fact that they have such high quality mentorship throughout the process,” says Snodgrass. “It’s definitely a big benefit for them and encourages them to consider real world planning issues and help them prepare for a career in design.” Snodgrass adds that many of the submissions address current issues within students’ communities, and that’s what the project organizers were hoping for. Last year’s annual competition focused on designing gymnasium, and the winner impressed the judges by incorporating multiple issues into his design aside from aesthetics, such as considering how the gym could be accessed from other areas of the school. “He talked about how he plays Minecraft, and that helped him think about city building in an interactive, intricate way,” says Snodgrass. She and the judges are looking forward to receiving this year’s submissions, and to announcing the winners on December 15. To enter or learn more about the challenge, check out the BP Design Competition page on the Chicago Architecture Foundation’s site.